Let’s take a look at some pseudo-classes that are specific to form fields and form field input. These pseudo-classes can be used to style fields based on the validity of user input, whether the field is required or currently enabled. All of the pseudo-classes that follow are specific to forms. As a result, there’s less of a need to limit the scope with a selector. Using :enabled won’t introduce side effects for span elements. Limiting the scope is helpful, however, when you want to syle various types of form controls differently. The figure shows the :enabled and :disabled states for our button element. The :optional class works similarly, by matching elements that do not have a required attribute. For example, the CSS that follows gives us the results seen below. Unlike the other pseudo-classes that we’ve covered, :checked only applies to radio and checkbox form controls. As the name indicates, this pseudo-class lets us define separate styles for selected inputs. Unfortunately, styling radio controls and checkboxes in most browsers is about as pleasant as a trip to the dentist for a filling. 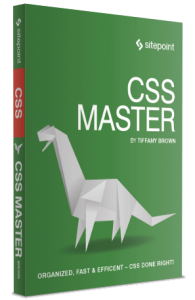 CSS Basic User Interface Module Level 4 attempts to address this with the appearance property, but this property is not yet supported. WebKit/Blink-based browsers and Firefox do, however, support nonstandard, vendor-prefixed versions of it. This gives us the customized controls you see below. The label element must be immediately adjacent to its input control. The form control must have an id attribute in addition to the name attribute (for example, <input type="radio" id="chocolate" name="flavor">). The label must have a for attribute, and its value must match the id of the form control (for example, <label for="chocolate">Chocolate</label>). Associating the label using for with the input ensures that the form input will be selected when the user clicks or taps the label or its child pseudo-element (::before). Should the user enter -3 or 101, the background color of #picknum will change to yellow as defined in our :out-of-range rule set (see the figure below). Otherwise, it will remain white as defined in our :in-range rule set. With the :valid and :invalid pseudo-classes, we can set styles based on whether or not the form input meets our requirements. This will depend on the validation constraints imposed by the type or pattern attribute value. For example, an input with type="email" will be invalid if the user input is “foo 123,” as represented in teh figure below. Optional fields with empty values are valid by default. Obviously, if user input satisfies the constraints of the field, it exists in a valid state. Form controls can have multiple states at once. So you may find yourself managing specificity (discussed in the next section) and cascade conflicts. A way to mitigate this is by limiting which pseudo-classes you use in your projects. For example, don’t bother defining an :optional rule set if you’ll also define a :valid rule set. It’s also possible, however, to chain pseudo-classes. For example, we can mix the :focus and :invalid pseudo-classes to style an element only while it has focus: input:focus:invalid. By chaining pseudo-classes, we can style an element that has more than one state. Remember that in HTML5, the presence or absence of the attribute determines its value. In other words, required="false" has the same effect as required="true", required="required" and required.